Whoever says there's nothing to do on Staten Island is grossly mistaken. 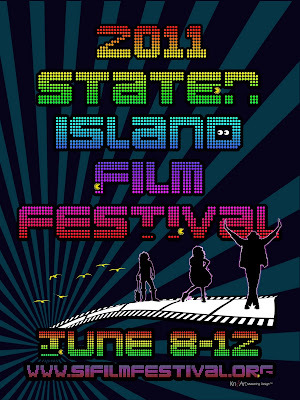 From June 8-12, the Staten Island Film Festival hits the island. Cinephiles rejoice! For 4 straight days you won't have to deplete your bank account on $14 movie tickets. All of the films screened at the SI Film Fest are FREE of charge-- that's right $0. Screenings will be held @ 3 different venues: St. George Theatre, Snug Harbor Cultural Center + the Staten Island Zoo. In the event that you already sat on a bus, train and a boat just to get to the Island, The St. George Theatre is your best option-- it's less than a 5 minute walk from the Staten Island Ferry. For more locations + events and the full SI Film Fest Schedule, click here. For the Staten Island Ferry (FREE to ride) Schedule, click here.